The word “culture” traces its roots (appropriately) to agriculture. It comes from the Latin word “cultura”, which directly refers to the act of preparing the earth for crops and also encompasses the act of care and guarding. It wasn’t until the nineteenth century that the word “culture” became associated with cultivation through education, as well as refinement and improvement. In many of today’s contexts, the word could often be replaced by “zeitgeist,” or the defining spirit of an organization at a given time. But it’s important that organizational leaders look deeper than zeitgeist to understand the underlying elements that give a particular organization at a particular time its unique spirit. Strong culture requires good environmental conditions and regular tending, just like a garden. 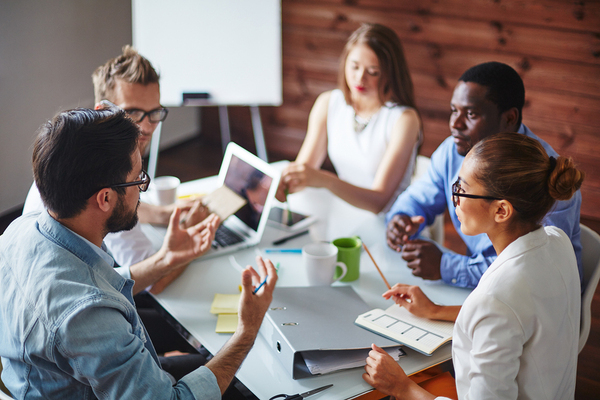 Culture develops in any cohesive organization, whether formally or informally. While it may seem most benevolent to allow culture to develop organically, that is rarely the best approach. The culture that develops organically among a small group of friends is one thing. The culture that grows unchecked within a business is quite another. Shaping culture is something leaders do. They don’t dictate culture, but similar to how a gardener shapes hedges so they’re maximally functional in all senses, leaders shape and guide corporate culture. Strong company culture is in general superior to weak company culture. If you have ever been on a team or worked for a company with strong cohesiveness and team spirit, you understand this. But let’s take another look at the word “culture.” It’s also where the word “cult” comes from. A culture that is too strong, too managed, and too rigid turns intelligent, capable people into little more than robots (albeit robots with an overwhelming sense of duty and purpose). Charisma in a leader is generally a good thing because great leaders inspire their followers to achieve their own greatness. However, when charisma mutates into control, good and naturally flourishing parts of a culture may be chopped off and discarded. New ideas may be rejected without thought. Everything becomes about “the culture,” and ultimately that can doom a business. Strong, thriving company culture is balanced. It means that the people involved have aligned goals and work toward a common, overriding mission. But it also means that they are free to use their brains. They’re free to innovate and have their own ideas. It means that people have appropriate levels of autonomy. Weak company culture is distressingly common. A business with a weak culture is little more than a place to go to work in order to get paid. People are content to do what is expected of them, but there’s not a keen understanding of the company mission and goals. Therefore, the conditions aren’t right for growth and achievement. Company cultures are often weak because founders and/or leaders shirk their responsibility of tilling and enriching the soil of company culture. Or maybe leaders make an initial statement about what they want the company culture to be but then fail to do the work necessary to make it happen. The result is a business that does what is necessary but fails to move forward in a way that it should. Another problem with weak company culture is that it makes it easier for bad elements of culture to take root and grow. Maybe a department head provides weak leadership, and as a result, a power-hungry department member takes it upon themselves to create a self-serving culture. It’s a recipe for morale problems, difficult recruiting, and high staff turnover. In a healthy company, slight cultural changes happen frequently, simply because people grow and learn, staff members come and go, and because the world at large is always changing. So cultural change on a low level is always going on in a healthy organization. But sometimes a major corporate culture transformation is in order, and often leaders don’t realize this until things have become difficult. Maybe staff turnover has increased steadily and nobody has bothered to figure out why. Or maybe a leader has for whatever reason chosen to shirk their leadership responsibilities causing chaos among those being led. It’s not always easy to see when significant culture change is necessary, but the signs can be recognized by leaders who listen and who track key metrics like productivity, efficiency, staff turnover, and revenues. Naturally, any of these metrics can fall off due to reasons other than cultural problems, but when they drop seemingly for no reason, perhaps it’s time to take a closer look at culture and learn whether it’s time for significant changes. Weak or bad culture is often expressed by a number of factors. Cultural change initiatives will experience push-back from some people. It’s inevitable. Even in bad company culture, there will be people who have managed to create their own little fiefdoms and power positions, and they will be reluctant to give them up. There will also be people who have been working on autopilot for a long time who will be annoyed that they may be required to start putting thought into their work. But if you know things are bad and you experience significant push-back, it’s a sign that cultural changes are needed and not a moment too soon. Dealing with push-back requires understanding why it is happening and addressing the underlying issues. There will almost inevitably be some people who bow out immediately and resign, unable or unwilling to put in the work necessary to improve the culture. That’s too bad, but it can’t be avoided. Just remember that when corporate culture is bad enough to affect things like revenue and productivity, that everyone notices it, and there will be plenty of people who are relieved that something is being done about it. Major cultural change requires effort on everyone’s part, but those who genuinely care about the organization, its goals, and their future in it will be willing to overcome their reluctance. A strong, positive corporate culture means you spend less time hiring and training new people, and when you do hire, you have a better candidate pool among which to choose. Have you ever noticed that the companies on “Best Places to Work” rankings tend to be highly successful ones? The bottom line is, when people feel good about going to work and about what their company does, they’re more willing to go that extra mile to achieve goals and apply excellence than when work is just a means to a paycheck. A defined starting point, goals, and buy-in are necessary conditions for successful change. To know how to get to your destination, you have to know where you are now. To find your way where you want to go, you first need to know your starting point. A clear understanding of your existing culture – warts and all – is necessary before you begin trying to improve the culture. 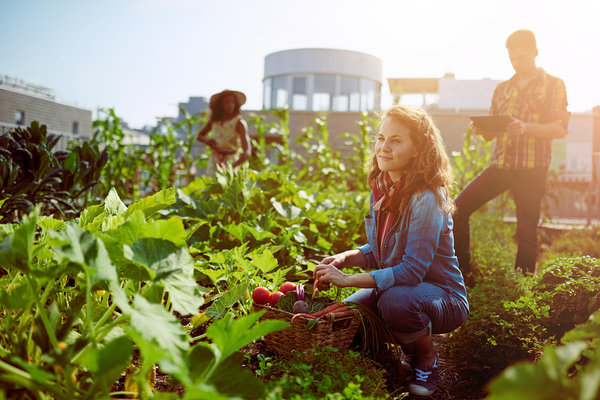 Just as the master gardener knows to test the soil to learn which nutrients are lacking and which are abundant, the leaders initiating corporate culture change must get to know the current conditions, including what’s missing and what’s overrepresented. Goals are necessary for positive cultural change. What do you want to be able to say about your organization one year from now? What headaches do you want to eliminate as much as possible through culture change? How much revenue growth is reasonable to expect? What percentage drop in employee turnover is your goal? Without goals, cultural change efforts will fall flat. And finally, for cultural change to succeed, you must have buy-in from people at every level of the organization, from the CEO to the entry-level employee. You can’t expect every employee to like everything about the change process, but you must be confident in their support. The overarching steps to culture change are definition, alignment, and management. Engaging the team in defining the objectives that lead to accomplishing goals. Such objectives may include better accountability, tracking key metrics, or regular recognition of excellence. Defining goals and planning how to meet objectives and milestones is a crucial part of cultural change. Culture change consultants shepherd client companies through the process of cultural change. They don’t perform or direct change, but they help client organization leadership plan, execute, and manage change based on proven performance outcomes. Assessment is an important skill of culture change consultants because understanding the root causes of cultural issues is paramount. Typically, they use a range of cultural assessment instruments, supplemented with conversations with client organization personnel, as well as comparative industry analysis to deliver an accurate picture of the client’s strengths and weaknesses. Culture change consultants also know how to measure and quantify culture change so clients understand where they began, where they ended up, and what factors were most important in the transition. Effective culture change consultation requires a number of key skills. Some culture change consultants offer specialized services surrounding safety. When cultural factors influence safety practices, the results can be devastating. Culture change consultants who specialize in safety issues specifically help with culture change designed to improve overall organizational safety. 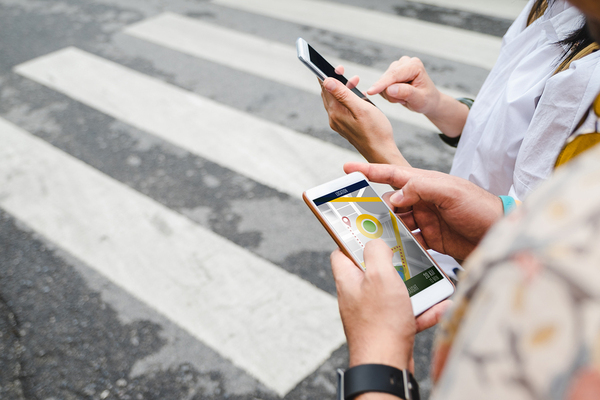 Most culture change consultants are equipped with a collection of tools that can be used at various phases of cultural change to assess current status, map out plans, and track changes. Many of them begin their work with client organizations by administering surveys and interviews designed to produce a clear picture of where the organization is at, culturally speaking. 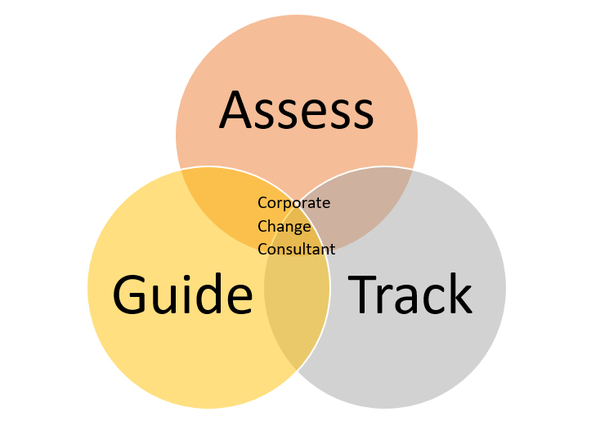 During the change process, consultants may administer additional assessments to measure progress toward goals, and when the relationship between the consultant and client organization ends, they will likely perform additional assessments and measurements to gain more clarity on which goals have been met, which haven’t been met, lessons learned, and best practices. In addition, some culture change consultants offer services that organizations can take advantage of even if they do not choose to hire a consultant. These services may include courses, self-administered assessments, workshops, and keynote speeches. Some may offer specialized courses, such as courses on safety culture assessment and improvement. Is There Such a Thing as Too Much Change? Change is inevitable, and resisting it is ultimately futile. But change management is necessary also to keep the “change” mentality from getting out of control. It is possible for organizations to try to implement too much change at once. When this happens, the upheaval feels permanent, rather than temporary, and team members may feel as if they cannot gain their footing before something else important changes. 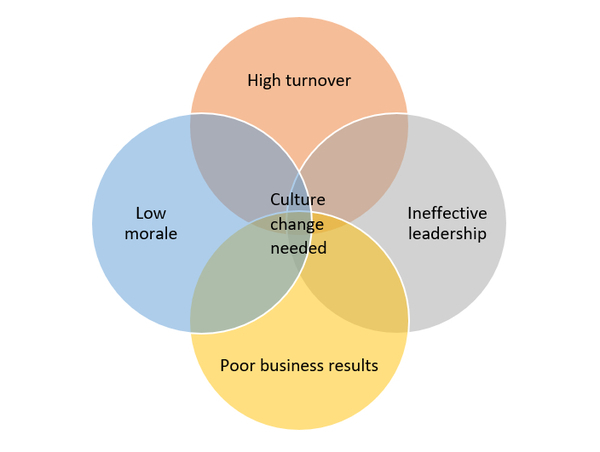 Even organizations, for which major cultural change is necessary for survival, have to tackle change in a methodical, measured way, or they risk experiencing all of the bad outcomes of bad culture all at once. For example, say a company is mired in complacency to the point where even the simplest innovations are met with contempt. Should that company decide to force innovation company-wide, all at once, they will probably see a lot of people jump ship altogether rather than try to navigate the major changes ahead. Too much change too quickly can make things worse when there are cultural problems. Major cultural changes can happen, but they cannot happen overnight. Implementing a series of smaller changes in pursuit of major cultural change will generally be more effective than scrapping everything and starting over. Culture change consultants exist because culture change is hard. Even when everyone in an organization knows that things must change, actually making those changes is challenging and tiring. With the right culture change consultant, however, a plan can be created to identify specific changes, to prioritize them, and to map out a path to making them happen. Culture change consultants know the importance of a strong, positive culture and know how to help organizations achieve it. Culture change depends on buy-in from everyone, but it must be championed by top leaders to have the greatest positive effect. 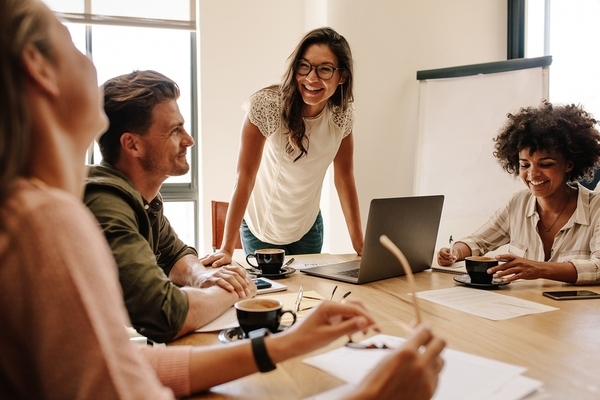 A surprisingly big majority of employees thinks that culture change is needed in their organization, and this alone should prompt corporate leadership to plan to regularly assess company culture and be prepared to change elements of it. Leadership in today’s business environment must be willing to change and adapt because the world outside is changing so rapidly. Organizations that stubbornly cling to old ways of doing things may hang on for a while as they are, but eventually, change will happen whether they like it or not. Far better for these organizations to understand, embrace, plan for, and manage change, particularly if corporate culture is weak or negative. For years, business innovators and experts have emphasized the importance of corporate culture. They also know that culture is a living entity, and something that will inevitably change over time. It is the organizations that value positive culture, that test the soil, till the ground, and pull out the weeds that will have organizations that thrive and grow. If you’re interested into delving deeper into the concept of corporate culture and cultural transformation, I encourage you to check out my books, particularly Cultural Transformations: Lessons of Leadership and Corporate Reinvention. Best practices – things an organization does that consistently lead to good outcomes. In terms of culture change, best practices are the things the organization does that lead to measurably better organizational culture.